For the Dutch CBI – Centre of the Promotion of Imports from Developing Countries and one of the largest information centres for exporters in developing countries – we conduct several assignments of which currently the largest one is the Export Coaching Programme Natural Ingredients for Food, Cosmetics and Pharmaceuticals in Bolivia, which started with the company selection in 2010. 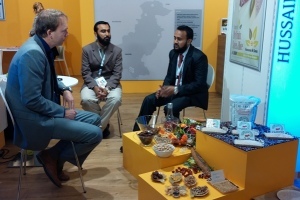 In 2014 a similar programme started in Pakistan: the Export Coaching Programme Food Ingredients Pakistan. For this programme Mercadero carried out the selection of the participating companies and the first phase of the programme. This first phase included a Technical Assistance Mission with the aim to assist companies in formulating their action plan, and to advise them on the actions to be taken. Mercadero assisted the companies in the development of their Export Marketing Plan and coached seven companies at the SIAL Trade Fair in Paris. For CBI we also produced several EU Market Surveys for Fishery Products, Fresh Fruit and Vegetables and for Preserved Fruit and Vegetables. After registration, these surveys can be downloaded for free from the CBI website. Another assignment for CBI was training of local consultants of Business Support Organisations from India, Honduras, the Philippines and Jordan. In April 2008, Freek Jan conducted a workshop in Moldova on market access requirements of the EU, together with Bert-Jan Ottens of Profound. For the Programme for Export Promotion of Organic Products from Africa (EPOPA), sponsored by the Swedish government, we have been linking exporters of organic products with relevant markets, channels and companies. We also advised exporters on their marketing mix, product range, quality assurance, pricing and promotion. 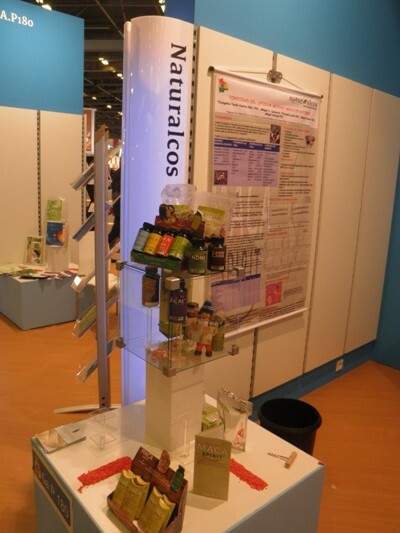 At the annual Biofach trade fair in Nurnberg we promoted these organic products from Africa and facilitated trade contacts between exporters and buyers. We also ran export marketing workshops in Uganda and Tanzania. For EPOPA, we produced a range of market surveys on organic markets, including on: cocoa, vanilla, peanuts, cashew nuts, sesame, canned fruit and honey. We also produced an organic exporter guide: F.J. Koekoek. 2006. Organic exporter guide; hands-on help for organic exports from Africa. In collaboration with the European consultancy firms Idom Ingeniería y Consultoría from Spain and Gruppo Soges from Italy, several activities were conducted in the framework of the EU-Mexico program of support to the small and medium-sized businesses in Mexico (called PIAPYME). Assignments were related to novel foods, tequila and other alcoholic beverages and sesame. For Hivos –a Dutch NGO addressing north-south issues partly sponsored by the government– we conducted market surveys into vanilla and hibiscus markets, and presented policy advice. With these contributions, Hivos has been formulating an intervention strategy in these sectors in Tanzania and Uganda. INALPROCES approached Mercadero to assess the legal status of their label for Kiwa Vegetable Crisp Mix in accordance with European legislation, perform a check on the commercial requirements of the label and a quick language check of the text on the label in six different languages. INALPROCES is based in Ecuador. It produces ‘healthy snacks’. Under the ‘Kiwa’ brand the company processes and sells vegetable crisps. CADEX, the Chamber of Exporters of Santa Cruz approached Mercadero to organize a business tour for Bolivian chia exporting companies. The exporters met several chia importers and chia trading companies, and learnt more about the novel food notification procedure for chia. Businesses in the Netherlands were visited and during the second part of the programme, meetings were arranged at the Anuga Trade Fair in Cologne. Agro Tigre S.A. Agro Tigre is a producer and exporter of commodity grains and a wide variety of specialties, such as chia seeds, popcorn, sesame, kidney beans (red, white, black), chickpea, and Safflower. GPC is a producer and exporter of both organic and conventional chia. The chia is partly bought from small scale farmers, and partly produced on their own plantation. Pepe Alimentos is a producer of chia seeds, kidney beans (black, white) and sesame seeds that works with 1500 SME producers. MMF is a matchmaking programme of the Netherlands Enterprise Agency that aims to establish a structural, long-term business relationship between an entrepreneur from a developing country and a Dutch entrepreneur. In the Chia Business Tour organised for CADEX, the meetings of the three Bolivian chia companies with businesses in the Netherlands were organized under the MMF programme. D.P. Giovannucci and F.J. Koekoek. 2003 .The State of Sustainable Coffee: A study of twelve major markets. ICO, London. Centrum Mondiaal – a buying group of importers of Fairtrade handicrafts – currently sells its’ products through Wereldwinkels (Third World Shops). To increase the benefits of the producer groups in developing countries, Centrum Mondiaal wanted to expand their markets. We analysed the attractiveness of new sales channels and advised the organisation on the best approach to reach new customers. Currently an increasing number of other shops are buying products from Centrum Mondiaal. The company’s core business is the production of aseptic puree’s, including soursop, pink guava, tamarind, morinda and banana, and pineapple juice, with soursop purée being their star product. The company holds several quality management certifications, incl. HACCP, ISO 9001, Halal and Kosher. Currently, Haraka Kitra Endah exports soursop purée to USA, Malaysia and the UK and morinda purée to China, Japan. PT Yuasa Berkah Makmur sells the unique small yellow mountain papaya, which grows in the Dieng plateau in Central Java. The papaya is processed into jam, papaya in syrup, juice, dried papaya and candy. In addition, healthy snacks are produced, such as dried jackfruit and cassava crisps. The main products produced by Profil Mitra Abadi are coconut and arenga palm sugar, cashew nuts, peanuts and cassava chips. All products are certified organic by Control Union, covering EU, NOP and JAS organic standard. Gunung Hijau Masarang is specialised in the production of palm sugar, honey, palm fibres and wood and kolang kaling – a chewy snack, in Dutch called ‘glibbertjes’, made from the seeds of palm trees (Arenga pinnata). Aliet Green produces certified organic palm sugar products of different flavours such as natural, ginger and cinnamon. It also produces turmeric and nutmeg. Essaroma uses the richness of Indonesian nature to produce high quality natural extracts, aroma chemicals and essential oils derived from herbs and spices. These products are used in beverages, food additives, colours and flavours as well as in the fragrance industries. Latransa Citra is a herbs and spices family company, based in Jakarta. The company is working in close partnership with farmer collectives in different regions in Indonesia. They have exclusive and lasting relationships with the best farmers, using support of the local government to develop warehouses for the farmers, controlled production greenhouses for spices and good packaging facilities. The vision of Cocoplus Aquarian Development Corporation is to produce the best virgin coconut oil, support family health and create more jobs in the region. Supply of fresh coconuts is secured through local cooperatives in the regions Batangas and Quezon. Filipinas Organic Coconut Products Corp. is specialised in the production of certified organic ‘virgin coconut oil’ , certified by EcoCert, France. The company has an on-going contract to support 83 organic coconut farmers , who receive on average a 10% price premium over standard coconuts. Fruitilicious is a producer of frozen fruit pulps and fresh cut fruits for juices, ice cream and other applications. The company is part of a larger holding company (ANI) but it operates independently. The company has a well-established supply chain with a clear quality policy. They buy from local selected farmers, and all fruits are ordered before the harvest season. Global Food Solution is a producer of tropical fruit preserves, frozen fruits and vegetables and fishery products. The company is strategically located in San Pablo City, Laguna, in a region with abundant supply of coconuts, fruits and vegetables and fishery products. All suppliers are accredited by the company before they can supply the materials. KF Nutri Foods specialises as a manufacturer of pan-fried sliced banana chips, which are widely used internationally in the breakfast cereals, snack food and food blend industry. The business specialises in the selection and preparation of a wide range of dried tropic fruits: mango, papaya, pineapple, coconut, jackfruit, melon and soursop, of which mango products comprise the largest product volume. New Asia Oil specialises in the production of crude coconut oil and refined bleached deodorized coconut oil. Coconut Oil is an edible oil extracted from the air dried meat (kernel) of matured coconuts (copra) harvested from the native coconut palm. It is used in various applications in the production of processed foods, medicines and cosmetics. Lao Integrated Farms specialises in the production of certified organic coconut palm sugar and coconut palm syrup, as well as moringa tea, ginger tea, turmeric tea, lemon grass tea and a dry seasoning blend. The business operates from an organic farm with 50 hectares farm land. Tree Life Coco Sugar is a producer of certified organic coconut palm sugar. The business operates from a farm of 50 hectares in Sitio Kalambay Barangay and a further 11 hectares at Sito Casia. The factory is located in the centre of the plantation. Products: spices , cooking pastes and sauces etc. Products: Canned palmheart in glass jar and tin can, Canned pineapple -only in tin can. Dried fruit: papaya, pineapple. Products: Natural sugar (chancaca) and natural pink rock salt. Products: IQF Fruits and Vegetables: palmheart, maiz (white and coloured “choclo”, Bolivan varieties), broccoli, coliflower, cassava (yuca), tropical fruits such as pineapple, papaya. Products: Soy products, maize products, sorgum, kiney beans, other beans, chia. Products: organic quinoa, amaranth, sesame, kañiwa. The first three products have established markets in Europe and are highly sought after. Kañiwa (Chenopodium pallidicaule) is a small Andes grain of the same genus as quinoa but smaller. Products: canned palmheart, frozen camu camu fruit pulp (currently camu camu is accepted as food supplement but not as food). Products: organic, wild and fair-trade cocoa products: cocoa liquor, butter, nibs, beans. Products: pepper, turmeric, ginger, mace, coriander, fenugreek, fennel, mustard Certified organic by Control Union Certifications as per EU, USNOP, JAS. Products: Palm Sugar, sea salt, spices, Cacao, Cashews. Certification: Organic Certified (some products), Fair Trade (some products).